With the New Year, comes of course, resolutions. 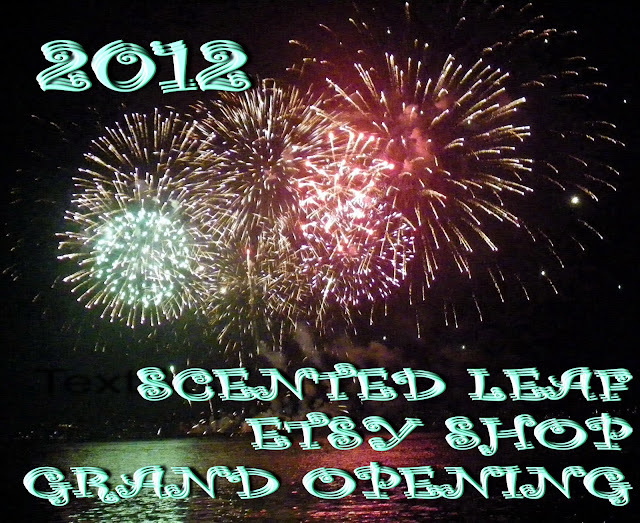 Our first one is an Etsy Shop, extending our experience selling online with eBay and Craigslist. Is not hard to fall in love with Etsy's artsy atmosphere and Community. Connect with us on Facebook and Twitter. Our shop hasn't got much in it at the moment, but we will be adding things over the next coming weeks: miniature gardens, bonsai with our: "Edible, fragrant, very useful, showy, flowering, drought resistant, little care and very forgiving" Scented Pelargoniums and other fragrant & aromatic plants and seeds. May 2012 be a better year for all of us!